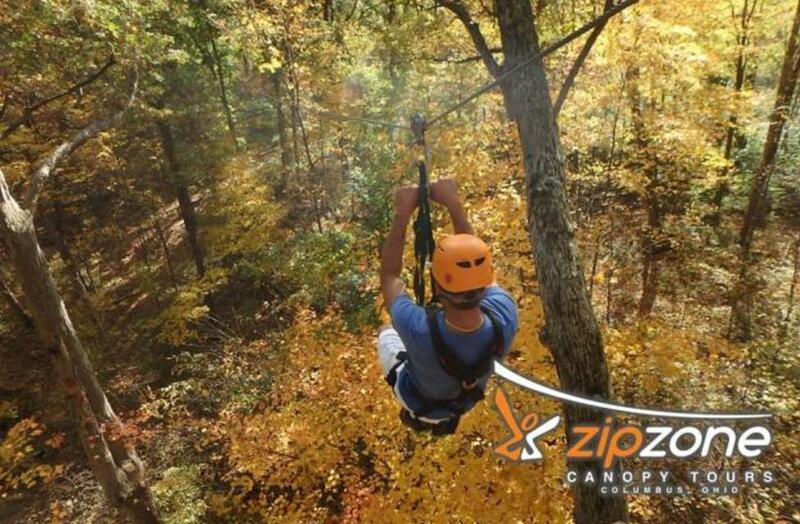 ZipZone Outdoor Adventures is about to open the doors to a brand-new adventure. This all-new outdoor obstacle course is an elevated, self-guided experience featuring bridges, nets, zip lines, swings, cable walkways, and more - everything you need for an adventure packed day! We&apos;ve got 75 challenge elements with activities for everyone ages four and up. It&apos;s great for large groups, so grab your friends, family, even your co-workers and head out to the best ropes course central Ohio has to offer. All of the fun your crew can handle! And for more information, visit http://zipzonetours.com or call 855 LETS ZIP.